St. Columbkill Roman Catholic Cemetery, Uptergrove, Simcoe County Ontario is now online on Olive Tree Genealogy YouTube channel. When 10 year old Ernest and 12 year old George Mustin set foot on board the ship Carcassian on June 16, 1892 they must have been frightened. They sailed together with a group of children from the Middlemore Homes in Birmingham England. All they knew was they were being sent to Canada to work as farm hands in Ontario. 13 days later they landed in Quebec City, Quebec and were immediately sent on to Stratford, Ontario, where they would be part of Ms. Macpherson's Home for Children. More strangers. More adults bustling them here and there without telling them where they were going. Would they be together? Would the authorities separate them? Those young lads were expected to comply, do as they were told, speak only if spoken to, and behave themselves. 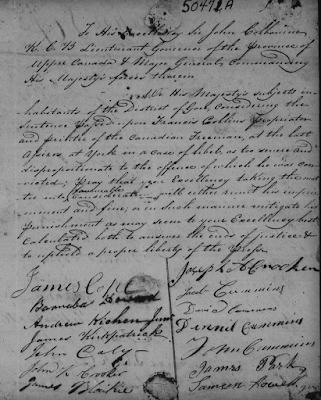 On July 11th John Hackett applied to take George on as a farm hand on his farm. Ernest was taken in by a German family headed by John Geinhselder living in Milverton Ontario where he was to work as a farm hand. Middlemore Homes had inspectors in Canada who visited the homes where the children were placed. 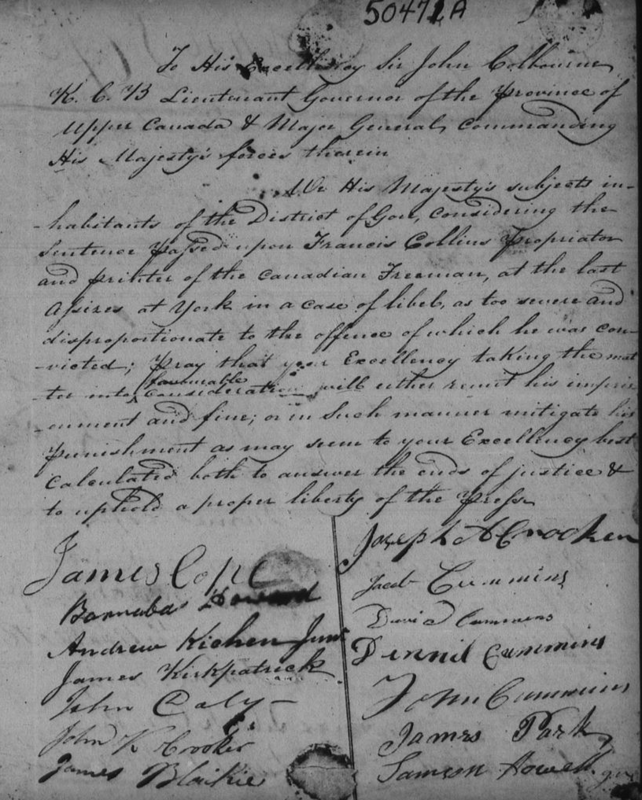 Luckily Library and Archives Canada holds the Middlemore records and after sending for records for Ern and George we learn that young Ernest attended a wedding with his new family in March 1893. The inspector noted that Ernest was with a "nice family of Germans where he's well looked after." Young Ern was attending school and church regularly. His brother George was not doing as well. 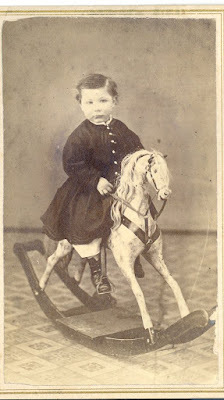 His first report in June 1893 stated that George was not a strong boy, so not much help with the chores, but was "able to do a bit." George wasn't happy and it seems the hired hand bullied him. He was told he should be grateful he had a home and that he must do better. In the winter of that year, the head of the house had an accident and George was kept out of school in order to help out. George's last report in 1898 shows he had managed to grow stronger and adapt to his new life. April 1898 was the last time Ernest, who was then 16 years old, had an inspection. That report read "April 1898. Ernest very small and weak for his age and can’t do a great deal. Goes to Church and Sunday School and has a good home where they take —— [???]" His time with Middlemore was done. He left the family and moved to Perth County where by 1901 he was found working as a servant for the Rogers family. 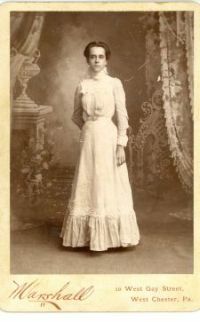 Ernest's story has a happy ending, for in 1904 he married Alice Bell, a beautiful young woman 6 years his senior. The couple had 4 children during their 44 year marriage. His brother George never married but remained close to Ernest all their lives. It is not known if they ever had contact with their parents after being removed from the home, but it's doubtful. Ernest did not know his mother's name for when he married her name was left blank. What I find distressing is that his parents went on to have another son the year after the two brothers were removed from the home. I have not yet found out what happened to that child. I do know the father Thomas died in 1925 as an inmate of the local poorhouse, his mother Ellen having died the same year Ern married. This was a family rife with tragedies for my research found that Thomas Mustin's father was killed by his daughter's lover in 1904, and his grandmother Hannah Mustin was raped and beaten in her village when she was 89 years old. Perhaps tragedies follow families? I have no answer to that question. Be sure to read Part 1 of Starving Boys Taken From Parents in 1892. February 1892 England. 11 year old Ern and his 12 year old brother George didn't realize when they went to school that cold day that their lives would change forever. Each wore thin pants, a thin jacket and worn boots. Their emaciated bodies were filthy and covered in lice. Both boys attended Staniforth Street (Boys Free Order) Board School for children who were too poor and dirty for ordinary board schools. 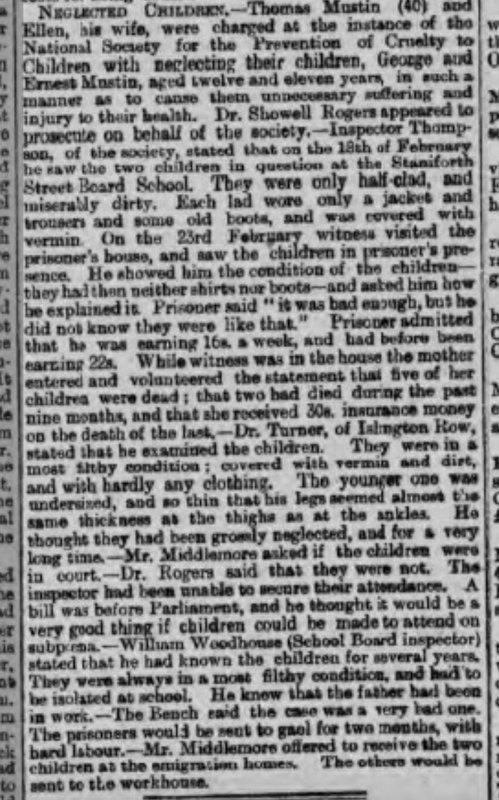 But luckily for the starving boys, the school had contacted the National Society for the Prevention of Cruelty to Children. An inspector came to the school to see the children. Horrified at their condition he visited the parents in their home a week later. The family were destitute and the brothers' mother stated that five of their children had died, two very recently, being 2 and 4 year old daughters. She seemed pleased with the insurance money she received on their deaths. The parents, Thomas and Ellen Mustin, were charged with neglect and were summoned to court in June of that year. A doctor examined the boys, stating they were filthy and covered in vermin, as well as suffering from malnutrition. Ern was the worst off, with his thin legs being the same circumference at his thighs as his ankles. 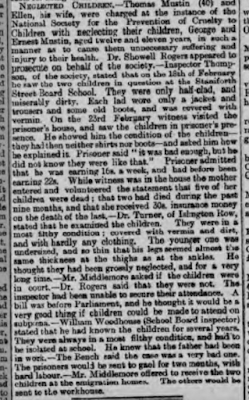 Witnesses who knew the children were called and gave their statements that the brothers had been neglected and in that filthy condition for many years. The court found Thomas and Ellen guilty of severe neglect causing harm to their children and sentenced them both to two months of hard labour. Ern and George were sent to Middlemore Homes for Children at the request of Dr. Middlemore himself. 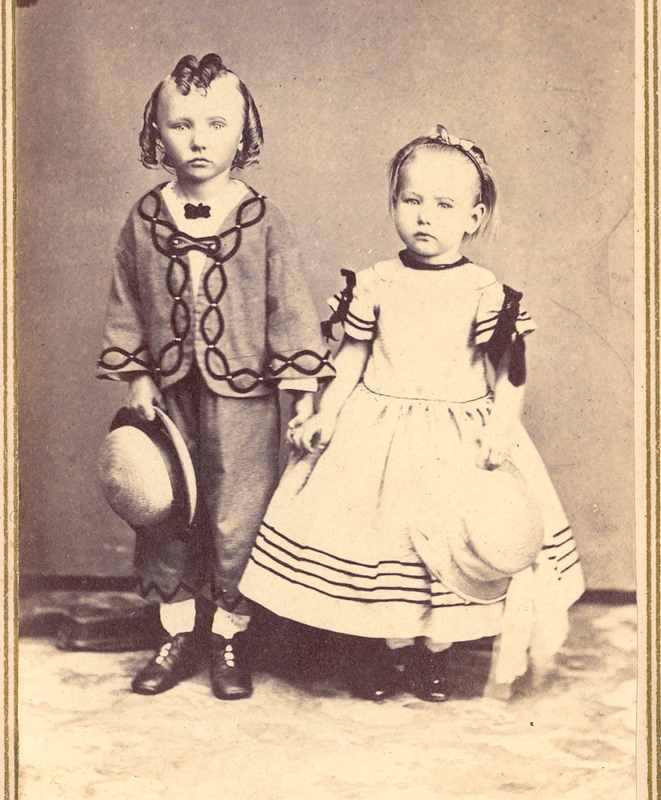 The other children in the household were ordered sent to the Workhouse. 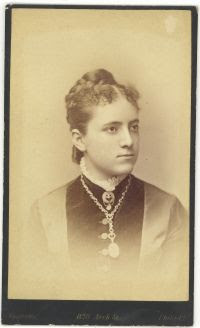 In 1892 the family consisted of Rose 18, Florence 17, and Henry 13 as well as Ern and George. A few months after being admitted to Middlemore Homes in Birmingham, Ern and George were on their way to Canada as part of the Home Children Emigration Scheme. This scheme sent thousands of impoverished street children and orphans to Australia and Canada as farm labourers and servants to citizens of those two countries. Some children were terribly abused by their new "owners" while others had a happier experience. The boys worked very hard on farms, while the girls were put to work as household servants. I will share Ern and George's experiences as Home Children in subsequent blog posts. Blaine Bettinger has done it again! He's developed a DNA Match Labeling program for Ancestry.com DNA using your Chrome browser. 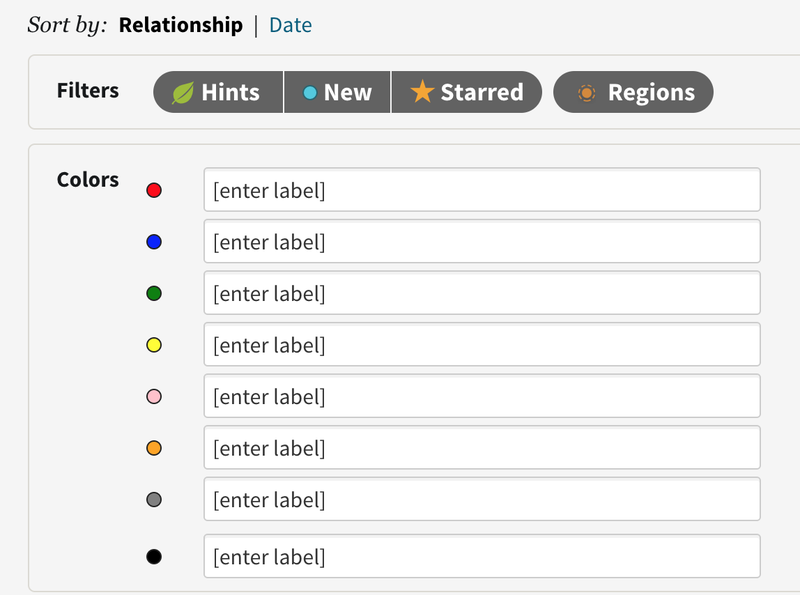 DNA Match Labeling adds colored dot labeling to AncestryDNA matches. There are 8 colors (red, blue, green, yellow, pink. 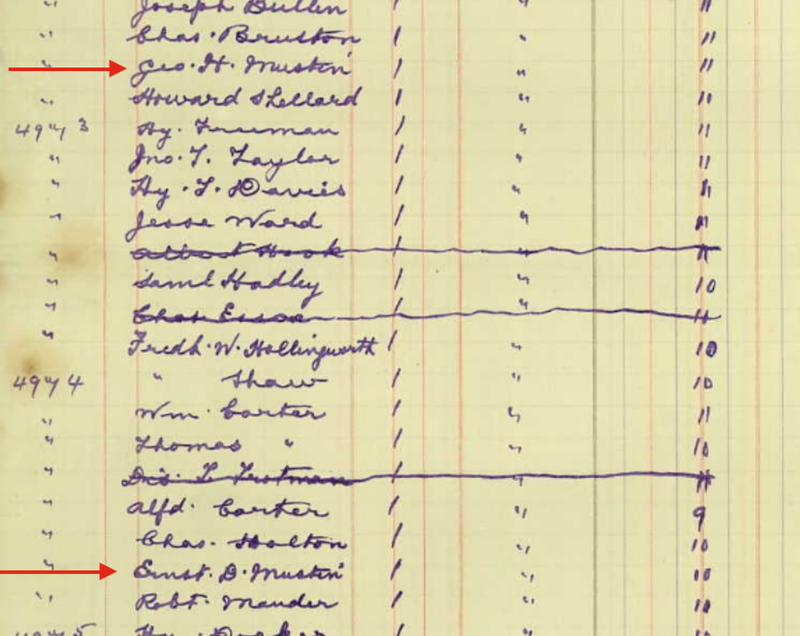 orange, gray, and black) at the top of each page when you are on Ancestry.com . 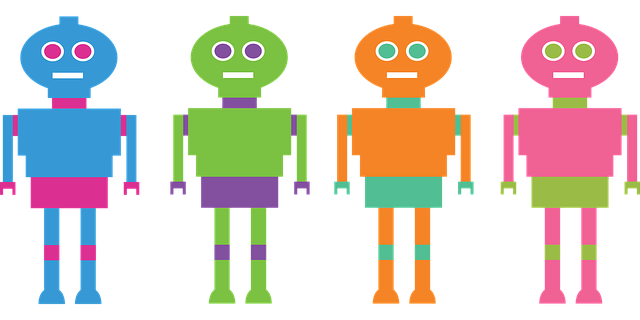 The user can enter text defining the color as he/she wishes. 4. Go to Ancestry to your DNA matches. Next I chose the labels Maternal (red) and Paternal (blue) and hit the UPDATE button. I'm keeping it very general for now. 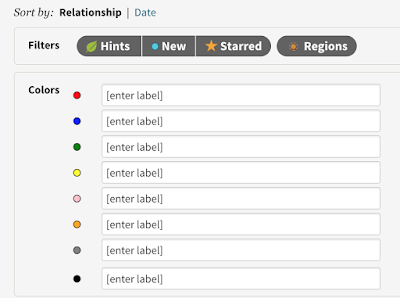 You might prefer to put in surnames for the colors and keep track of new matches that way. I also labelled the first few people showing as a match to my son with the blue dot as I know they connect through my father's side. Give it a try, you might find it makes your DNA life easier. If you don't have your Ancestry DNA kit yet, go here to purchase one. 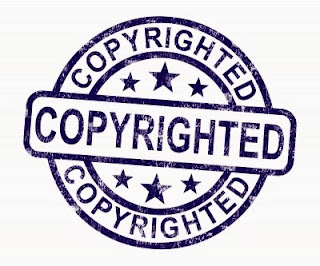 Heads up to the genealogy community - here's what to do if you are a victim of a copyright violation of your photos or articles. 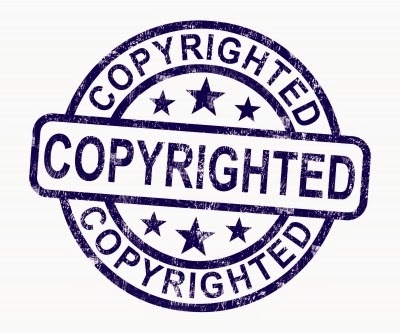 In the one and only email I send to a person who uses my content without my permission, I give 24 hours as the timeline in which such articles must be removed or a fee for the use of the article/photo must be paid to me. Kindly see that [name of site] remove *all* my blog posts, images, and articles from their site or shut them down completely. File a Policy Violation complaint with Google if the site has Google ads. 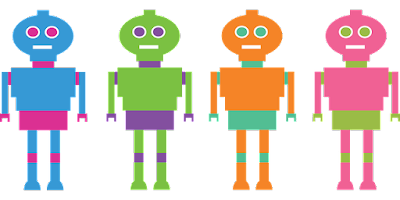 Google will pull their ads if a site violates their rules so at least you can hit the offenders in the pocketbook with your complaint. I received this email earlier this month about a very happy ending for the search for family of James J. Bell and of Idaho, and his rescued dog tag. The Upper Canada Sundries hold an incredible treasure trove of early Ontario genealogy information but are often overlooked by genealogy researchers. The Sundries are not indexed but they have been digitized and put online on Heritage Canada on 94 reels of microfilm. Here is an example of what you might find if you take the time to look. 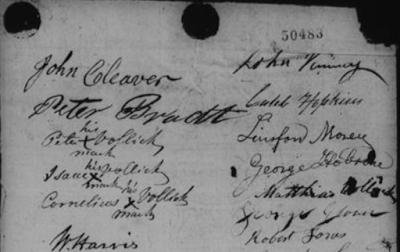 Film C-6866 has the following signatures to a petition dated 1828. 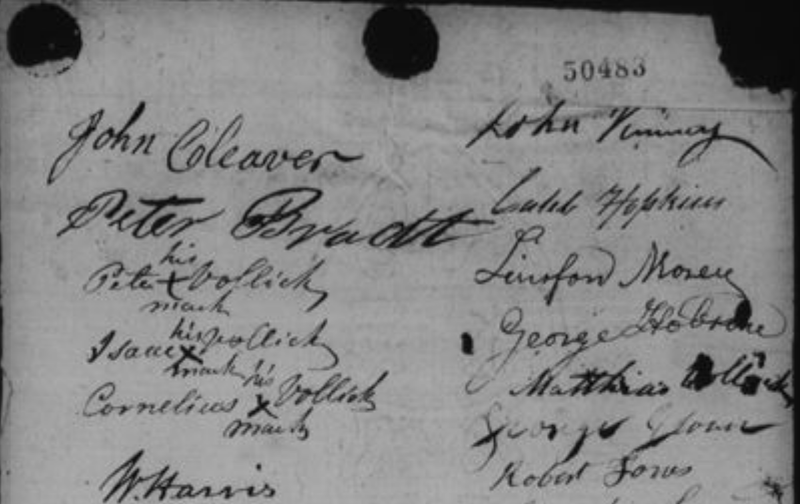 If you see your ancestor in the list you can find the image and see how he signed his name. Just go to Film C-6866, and choose image 878 from the dropdown menu. Below are the signatures of my Vollick relatives. It was disappointing, but interesting to see that Peter, Isaac and Cornelius could not write their own names, but Matthias could. Peter and Isaac were my 3rd great grandfather's brothers, and I suspect Cornelius was as well, although their father's name was Cornelius and it is possible this is him. Peter VOLLICK, Isaac VOLLICK, Cornelius VOLLICK, W. Harris, John Hempstreet, Sanuel Dean, James Dean, John Carpenter, James Hunter, Jacob Hampstreet, Abraham Neff, A.A.W. Jackson, Peter Spaun, An. G. Hoogeman, George Redengbur, David Springsted, Peter D. Springsted, John Lee Spaun, Jacob Springsted, Edward Mann, Joseph Jones, John Biggar, Augustus Jones, W.K. Jones, John McKerr, James Duff, sper H.B. TenEyck, Peter McKirby, John Kenney, Caleb Hopkins, Linsford Mosey, George Hobson, Matthias Vollick, George Glover, Robert Jones, Charles Howard, Wm. 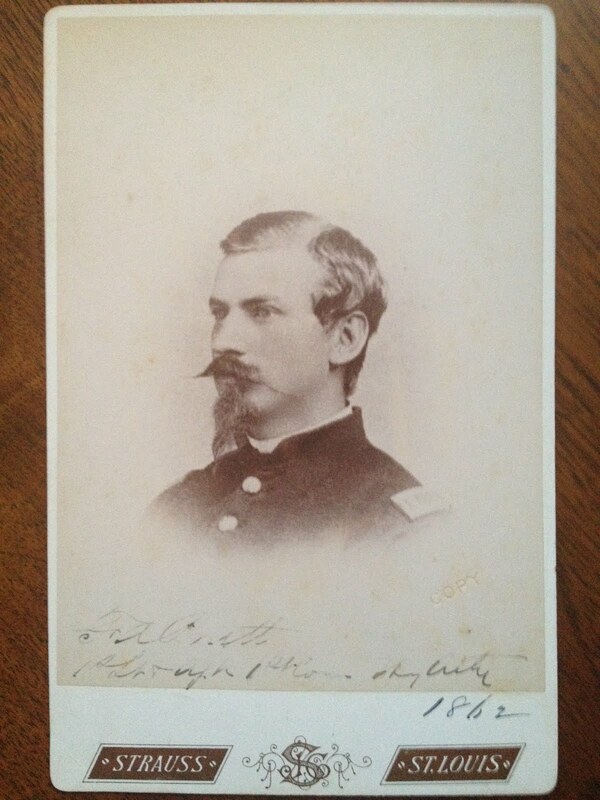 Walker, Wm. Livingston, Stephen Sweet, Drake Lewis, Plumer Burley, W. Butts, Bryan Condon, Wm. Parker, Adolphus Flanner, Daniel Stouffer, John Hewit, Samuel Sleighter, John Bricker Jr., Samuel Gaheen, John Wismer, Jacob Wismer, Jacob Shantz, Joseph Martin, Isaac Shantz, Jacob Bleam, Jacob Rosenberger, David Shantz, Peter Beek, G.W. Gusker, Andrew Sears, Abram Beam Sr., Michael Bowen, Jacob Hackerton, Gouvriel Rundrot, J. Keep, Samuel Snyder, Peter Case Jr., Ross Tims, Joseph Kitchen, John Griffeth, Samuel Wood, Norman Ingels, Robert Keefer, Daniel Everitt, Thomas Patten, Wm. Munn, Andrew Armstrong, James Murphy, John Warden, A. Carp, John Kirk, Benjamin Shantz, Martin Ely, William A. Moyers, L. McIntosh, Phinehae Marnam, Peter Erl, George Croft, William Hunsparger, Michael Turner, Christian Bleam, Gideon Southworth, Columbis Gildea, Jacob Bean, David Shantz Jr., John W. Detwiler, William Cub, John Weay, Wm. Springsfield, John Millar, Frederick Millar, Levi Moore, Samuel Moore, Joseph Barber, Abner Roseburgh, Enos Griffeth, Samuel Ranswear, John Gage, Peter Rykert, S. Washburn, Thomas English, William Mitchel, Isaac Griffeth, Alex. Kemp, Peter Carp, Kinear Vansickel, Joseph H. Crooks, Benony Vansickel, Jarvies Evans, Robert Rosebrugh, John Sleeth, Joseph Cornell, Elias W. Forsyth, Jacob Cummins, David Cummins, John Syer, Daniel Cummins, James Parks, William Smith, Lazarus Grifth, Conrad House, Richard Hull, David Rymal, Eli Sly, Abraham Van Norman, Thos. Rich, Thos. G. Chapman, William Finlay, John Howell, John Cummins, Sanson Howell Jr., E. Griffith, John Van Every, William Miller, Calvin Moore, Adam Corner, Ephraim Cummins, Joseph M. Van Norman, David A. Lawrence, Martin Regan, Garnett McHoll, D. Ryan, Pat. Regan, Andrew McVenn, Thomas Johnston, Cornelius Sheehan, John O'Lynch, John Stewart, David Hay, John Brown, Alex. Ross, Alexander McDonnell, David Briles, John Reed, John Smith, Andrew Colburne, Wm. Johnson, Alex. Burt, John McNutty, Thos. Leavy, Charles Armstrong, James Keogh, John Armstrong, John McDonald, Alex. McGregor, Robert Levison, Donald Gilles, Alexander McRea, Hugh McGill, John McGill, Wm. McGill, James McQuillan, Andrew Blacke, James Blacke, John Robson, James Wood, Andrew Morrean, James Tomson, Thomas Brown, Isaac Lennox, John Foster, Chr. Keagh, Edw. Carroll, David Fielding, James Gibson, Patrick Keon, Charles McLeague, John McLeague, Bernard McLeague, James Rogers, Mathew Sweetman, Austin Sweetman, J. Mandafield, Edward Gilmore, Michael Lannon, Mich. Mullen, Joseph Molloy, John Carr, Wm. Thompson, Miles Livingstone, John Weldon, Jas. Thompson, Robt. 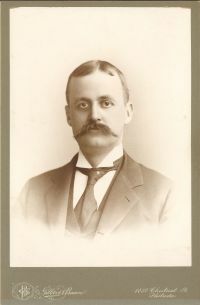 Morgan, Jos. Morgan, Patrick Caraher, James Walsh, John Sanders, David Gibbs, Thos. Gibbs, Charles Kitchen, James W. Griffeth, Henry Monro, Allan Nixon, John Westwood, Levi Peck, William Mulholland, Rob. Murray, Lawrence Schumerhorn, James VanNatten, William Barber, John Brown, Jemah Banham, Gabriel Hopkins, Adam Almas, Joseph Brown, James W. Noble, Jonathan Stanton, James Barber, Jacob Cope, James Perrine, John Bray, Benjamin Tayler, Ritchard Kitchen, Isaac Willet, Anthony Bunley, George R. Burley, W.O. Burley, David Culp, Edward Evans, James Bigelow, O.W. 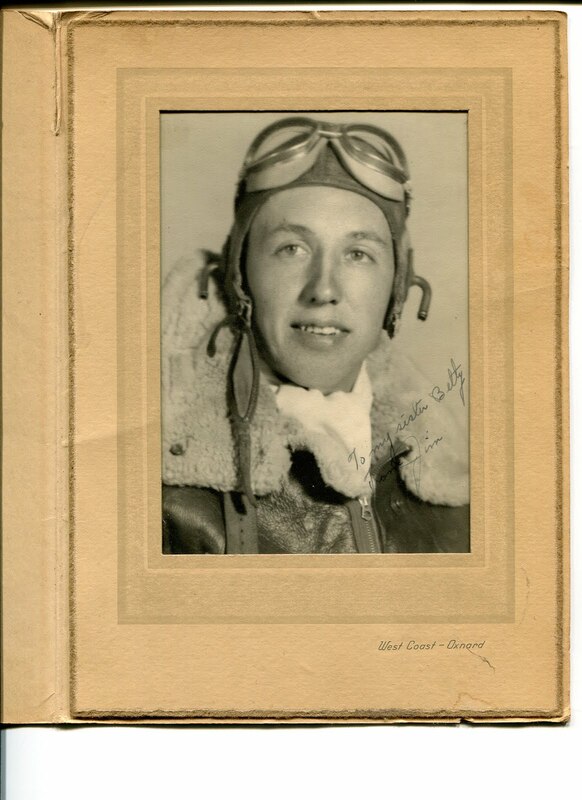 Everett, John Keagey Sr., Adolphus French, James Gitty, Richard Ayer, Daniel Dotton, Benjamin G. Buker, John Mannen, David Mannen, Elam Bonham, Daniel Snyder, James Given, Abram Gingrich, John Balantine, William Koplin, Geo. Bush, Hugh Brown, Thomas Bourk, Jeremiah Wait, John Davis, Henry Gilmon, William Green, Robert Troop, James Ker, Isaiah K. Millard, Alexander Markle, John Ryckman, Peter Misner, Henry Bloom, Jonas Smith, Benjamin Sneyden, William Green, Peter A. VanEvery, William McCormick, James Hamilton, Duncan McKenzie, David Hill, Smith Connors, Stephen Pembleton, Daniel Anderson, John Wallace, William Misner, Isaac Blosdale, Ephriam Munron, John Owens, Mark T. Brooker, Richard Decker, Edward Carroll, David Aldridge, John Kievell, Hiram Hawkins, William Hickey, George Chambers, William Robbs, David Chambers, Philip Olwell, J. Ginlaw, Jacob Hagey, Jacob Zigter, Henry Oberholtzer, Benj. VanEavery, William Sleith, John Gatins, Sylvester Campbell, Freema Dunham, Rogert Ferrier, Pierre Bliss, Daniel Howell, James B. Morden, Artemus Commins, John Skinner, Geo. Calvert, Samuel Rosebrook, Michael Lancaster, John Mowat, Innes Ker Jr., Jeduthan Bird, Aaron Cornell, James Miller, Edward McQuillen, Jacob Bickart, Barn. Canes, Frances Cochenor, John McMun, David Decken, Alex. McInless, Barnabas O'Neal, George Blurd, Robert McLaghlier, Henry Speara, George N. Horton, Jonah Howell, James Kitchen, John K. Cornwell, James Fonger, Hugh Keachie, Andrew Mc Andrew Flatt, David Abel, John Cope Jr., Daniel Burkholder, Stephen Nisbet, Phillip Cline, Clarkson Freeman, Andrew Banghart, Richard Ayer, Seba Kinniard, P. Elliot, Moses H. Howell, James D. Hare, Michael O. Loan, George Glen, Henry Anderson, Michael Banghart, William Williams, Nicholes Jones, Wm. Burnham, Thos. 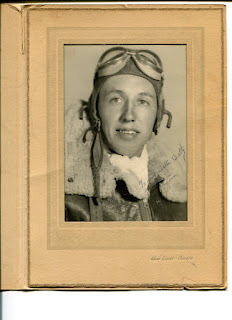 Hitton, Emey Bedford, Lewis Graham, James Fellenden, William Hamilton, Henry Hannon Jr., John Smith, J. Hathaway, Eli Everitt, William J. Wilson, Charles McCrea, Andrew McCrea, Patrick Coleman, Richard Coleman Jr., George Goodhue, James Waugh, Horace H. Hills, Ralph Morden, Robert Miller, Robert Clements, Henry Cope, Benjamin Burner, Abraham Baker, John S. Green, Edward Thomas, Charles Burnahon, James Banghart, Robert King, Alex. Burner, Thomas Armstrong, Wm. Knowles, William Fonger, John Young, Philip Beemer, Isaac Dewitt, John Dewitt, William Nevills, Rita Hains, David Maul, John T. Cains, Ephraim Vanormin, John Telfer, Samuel Hannon, C. Sullivan, Timothy OKeeffe, William Miller, Richard Coleman, John Coleman, Barzilla Boal, Joseph VanWalkerby, Hugh B. Lee, John Markle, James Blain, Joseph N. Keefer, John Robertson, Thorns Espy, Abner Cheeseman, Mich. O'Neil, George Kintzet, John Hughson Jr., Sebastian Bogel, Adam Thompson, Isaac Smith, Michael Cane, Robert Jameson, Joseph Beemer, William Van Alton, Lent Munson, Thomas Pope, James Fremer, Jacob Fonger, Preserved Cosby, John Cornell, James Hains, John Hains Jr. 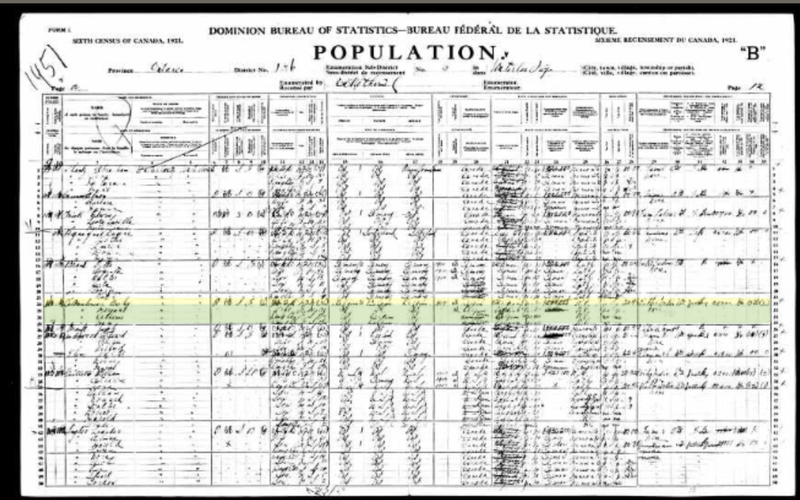 I've been looking for my husband's great-grandfather Archie DeMeuleaneare in the 1921 Ontario census. As you can imagine, his surname DeMeuleaneare can has been spelled a dizzying variety of ways in records. I've found him as DeMeulenaire, DeMulenare, and yes, even De Millionaire. To make searching even more challenging, Archie was born in Belgium as Achilles (pronounced AW-she, hence the Anglicization to Archie). So I have to go slowly and methodically, and search with all possible variations of both names. That is where wildcards come in. Wildcards are your friend. I'd be lost without them. 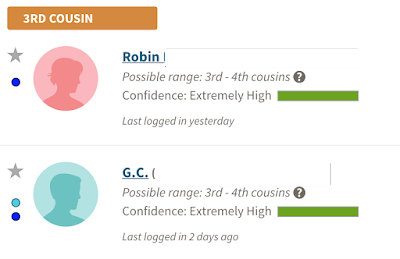 So in searching on Ancestry.com for Archie and his family in 1921 I was feeling pretty confident. I know the "tricks", I use wildcards, I start with a specific search (first name, surname, date of birth +/- 2 years, location of birth, residence). If that doesn't pan out I start eliminating fields. But the standard techniques were not working. I was getting no hits or thousands! I decided to try searching for his wife. No dice. Okay I thought, I'll try searching for one of his children. Again I came up empty. This is where genealogists need to think outside the box. Now is the time to try searching on just a first name and location - nothing else. Or a child's first name. Or a spouse. You may have to scroll through a few hundred results but that often does lead to success. 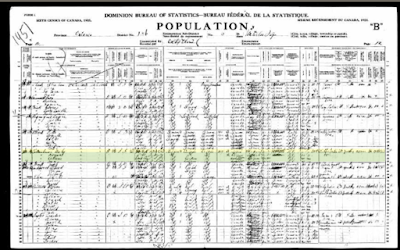 Jumping ahead, I'll share with you that I did eventually find Archie and his family - mistranscribed and indexed under the surname "Tekealeneau"
It is easy to see how the transcriber would have trouble with the surname! And that is why genealogists need to think outside the box when searching for an ancestor. Don't assume the indexing is correct. Don't assume the transcriber understood what they saw on the document. Be persistent, be methodical, and be creative. You can't go wrong if you follow those three rules. Did you know it is easy to find genealogy books on Amazon? Decide what subtopic you want - do you want a Genealogy Guide? How about a Genealogy Guide specific to Ontario Canada? A Family History? For a family history you need to search using the surname of interest. For example maybe you want a book on the Van Slyke family. 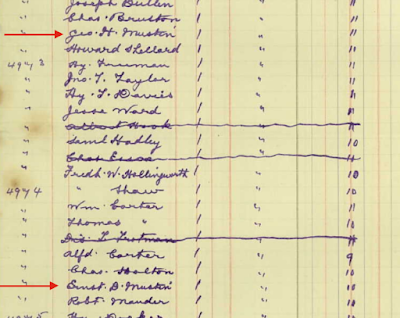 A Genealogy Mystery? You can also choose to see the top 100 genealogy books on Amazon. This of course changes over time, but right now, two of my published books are in the top 100. That's super cool but I could use some help to get them higher in the rankings, or to get some of my other books into the top 100. Try it. You might just find the genealogy gem you've been looking for. Labor Day weekend is over. But many genealogists were talking about their ancestors' occupations. It has been fun and enlightening to read comments on Twitter and Facebook over the weekend. So I thought I'd do a rather quick overview of some of the occupations held by my ancestors. It's an interesting exercise to look them up as I realized that I have much more to learn about some! For example one of my ancestors was engaged in the Rattle Watch in New Netherland (New York) in 1659. When I first learned of this I had to research to find out what a Rattle Watch was. Basically the rattle watchmen patrolled what is now New York City, using wooden rattles to warn people of threats or fires. They were responsible for stopping theft and other crimes, so we can think of them as a type of police force. The patrols carried green lanterns and walked the streets of the city from sunset until dawn. 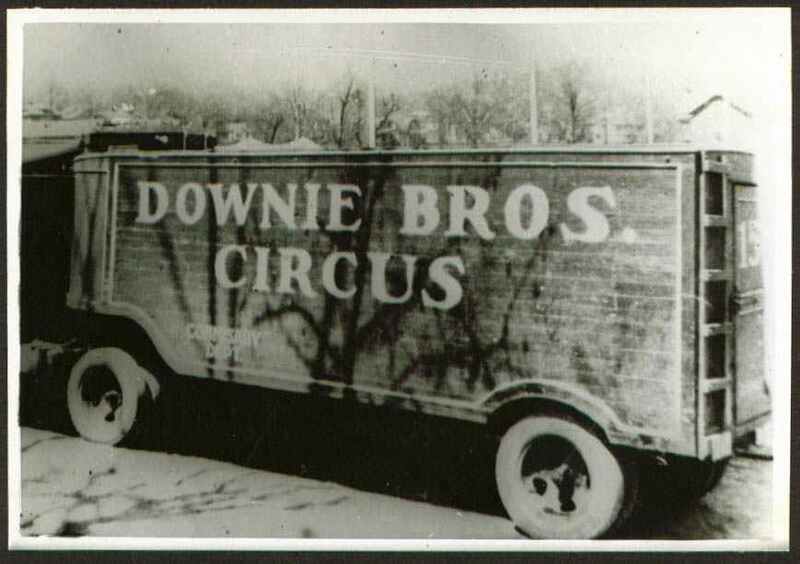 My maternal grandfather was a bookkeeper and manager of the Guelph Lumber Company. His father was a gardener. My maternal grandmother was a dressmaker, and her father was a coal carrier while her mother ran a boarding house. My paternal grandfather was one of the first firefighters in Guelph but after an injury went to work in a steel factory. His father was a general labourer, while his grandfather ran a tavern called Speed the Plow near Guelph. I have a Niagara Falls tightrope walker, an early (if not the first!) 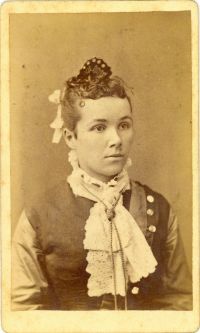 base jumper, the first female pilot in Canada, circus performers, innkeepers, shopkeepers, shipwrights, commercial fishermen, farm labourers, dressmakers, washerwomen, and a hatmaker. What's in your ancestral heritage? Photography arrived in the United States in 1839 thanks to Samuel F. B. Morse, an American artist and inventor. 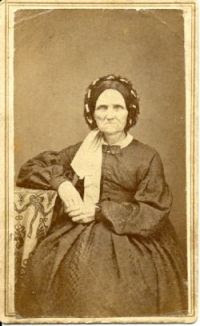 The earliest type is the Daguerreotype. Ambrotypes followed, coming into use circa 1854. 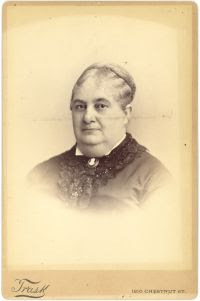 1860 saw the Cartes de Visite becoming popular and the larger Cabinet Cards began to slowly replace the popular CDVs in the mid 1860s. 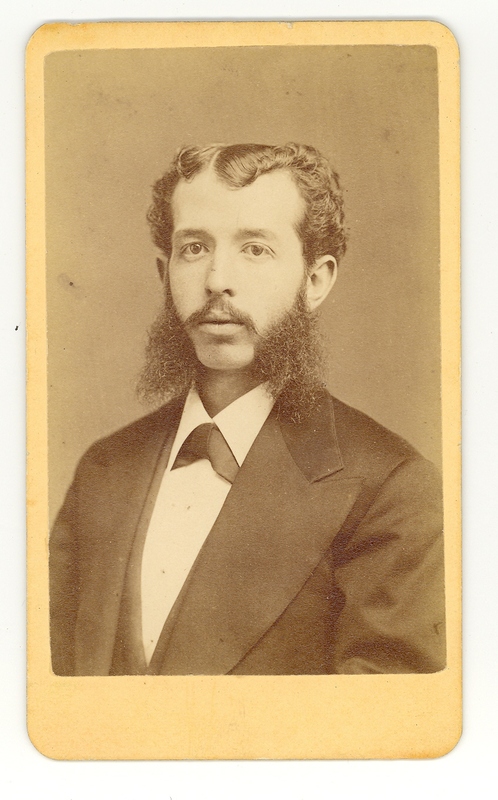 Cabinet Cards were basically a larger version of the earlier Cartes de Visite. 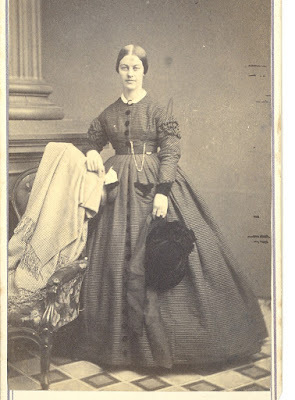 Photographs on paper were pasted onto a large stiff backing measuring 6.5 x 4.25 inches. Photographer logos can be found on the front or verso and were often very elaborate. Around 1880 the cards became more elaborate, sometimes having gold or silver edges. At this time the colour of the cards began to change to darker tones and black, burgundy and deep green became popular. Photography arrived in the United States in 1839 thanks to Samuel F. B. Morse, an American artist and inventor. The earliest type is the Daguerreotype. Ambrotypes followed, coming into use circa 1854. By 1860 Cartes de Visite (CDVs) were becoming popular. Cartes de Visite are photographs mounted on a small (4x2.5") cardboard card. They became extremely popular as a method of collecting photographs of friends and family members to place in elaborate albums. 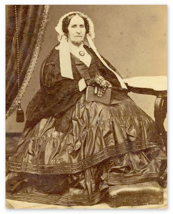 A CDV could be easily duplicated in contrast to the earlier daguerreotypes and ambrotypes. Early 1860s CDVs have square corners. By 1870 many had rounded corners. The thinner the cardboard backing, the earlier the Cartes de Visite. Photographers logos, found on the verso (back) of the CDV also began to change, becoming more elaborate in later years.